Aerojet Rocketdyne CEO Appointed to AIA Executive Committee | Aerojet Rocketdyne Holdings, Inc.
EL SEGUNDO, Calif., Dec. 03, 2018 (GLOBE NEWSWIRE) -- The Aerospace Industries Association (AIA), the leading U.S. aerospace and defense trade association, has appointed Aerojet Rocketdyne CEO and President Eileen Drake to its Executive Committee for 2019. Ms. Drake was named during AIA’s Nov. 30 Board of Governors Meeting. AIA is the most authoritative and influential trade association representing the U.S. aerospace and defense industry. As the voice of American aerospace and defense, AIA’s strong advocacy is essential to protecting and advancing the interests of our nation and our industry. Today, nearly 340 major aerospace and defense companies and their suppliers are members of the association, embodying every high-technology manufacturing segment of the U.S. aerospace and defense industry, including commercial aviation and avionics, manned and unmanned defense systems, and space technologies and satellite communications. 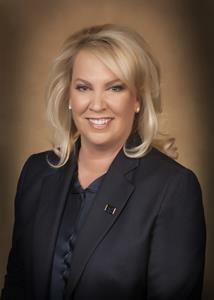 “We’re pleased to welcome Eileen Drake to our Executive Committee. Eileen is a dynamic leader, and we look forward to her insight and contributions in advancing our ambitious agenda for 2019,” said AIA President and CEO Eric Fanning. AIA is led by a Board of Governors and an Executive Committee. A hallmark of AIA is that it receives its policy guidance from the direct involvement of CEO-level officers of member companies. The government frequently seeks advice from AIA on issues, and AIA provides a forum for government and industry representatives to exchange views and resolve problems on non-competitive matters related to aerospace and defense. Ms. Drake joins 24 leaders of aerospace companies on the 2019 Executive Committee, who will drive association policy guidance on matters impacting the aerospace and defense industry, to include the federal budget, a healthy industrial base, defense modernization, and an efficient federal acquisition system. Ms. Drake also serves on the AIA Board of Governors and Finance Committee and the Woodward, Inc. Board of Directors, where she is a member of the Audit Committee.